Involuntary Smiles: Best. Books. Eveh. I love to read. Absolutely and completely. It is my guilty pleasure. Growing up, when I got grounded, it wasn't just from friends, it was from books as well. But since books really are like friends, I guess being grounded from friends would include books as well. My parents knew I grounding me from friends would make me mad, but it wouldn't have the effect they wanted since I have been known to spend days lost in a good book... or a few. I used to dream of writing a book. I made several attempts, but they never showed much promise. That and the fact I never finished any of them. I wanted to write one about a great con... but I don't have the mind of a con artist. I can't think so many steps in advance. Which is another reason I am so lousy at Chess. It would have been a magnificent book. but I kept getting stuck on the con. Any aspiring writers, if you want a best-seller, I would love to share my story with you. When I was in school, I was an English major. When I told people that, they always assumed I would be a teacher. While that is a noble profession, it is certainly not for me. I hated that people had no imagination and an English major automatically equated school teacher. I decided I wanted to work for a children's publishing company. That would be the best. I would get to read, and I would be paid. It was a great dream. And then, imagine my surprise when my friend Terra emailed me and told me she was starting a publishing company and the first three books to be published would be three she had written. In one fell swoop, she accomplished my dream! Good for her. She sent me her books, and they are now favorites in our family. We read one of them every day. No joke! I did say there were three books, right? Well, I read all three to my kids, and let them chose which one they liked the best. Collectively, it is Rock 'n' Friend. Such a clever book! 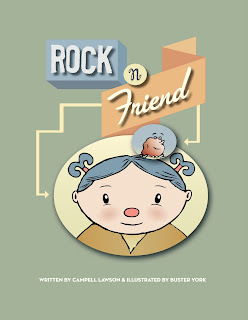 All about a rock who goes on a big adventure, and finds a friend in a little girl. 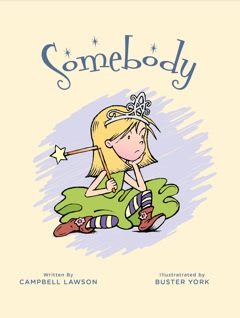 But then, turn the book upside down and backwards, and it is the story of a little girl who wants a pet, but can't have one. Then she finds a rock, and it becomes her best friend. Such a clever story. Terra's books are so cute and fun! Because I am so impressed with Terra, and because I just like her, I would love to share her talent with you. 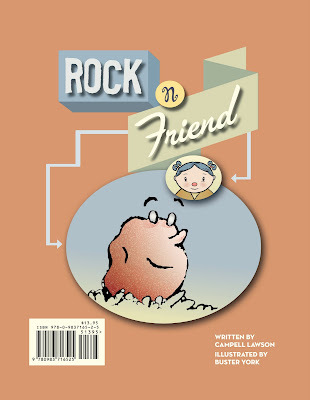 One lucky friend of mine will win Rock 'n' Friend. 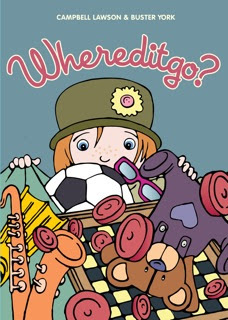 Just leave me a comment telling me which book is your favorite to read to your kids (or any kids for that matter), and stop by her blog, giving her a little love and support. She is far more gutsy than I am. Don't be sad if you don't win, though. Terra is beyond cool, if you buy Rock 'n' Friend, and Somebody, she will include Whereditgo? free! How great is that? Just leave me (and her) a comment by Thursday 11:59, and a winner will be announced Friday, with a book in the mail later that day. Thank you Terra for giving me the opportunity to read your books! They are wonderful. And again, I am so sorry it has taken me this long to get on this. As you know, I have been MIA since October. Not a good reason to neglect you and your wonderful books for so long, but I am sorry, and thrilled to help you spread the word. You deserve world wide fame! Wow your dreams are coming true - awesome~!! I know how you feel about books. My goal in 5th grade was to read all the books in the library - No joke! Me + books = Love! Your friend sounds amazing and I really love what you had to say about her books. I will be leaving to check out her website. I love reading to my kids. My favorite is Pout Pout Fish. Such a fun cute silly book. These books look so cute, I definitely would like to be entered to win! These books look awesome!! Can I still enter if I haven't read them?? I love the Hippo books by Sandra Boynton. The belly Button book was my favorite to read, except we've lost it recently :( I'm going to have to get another! 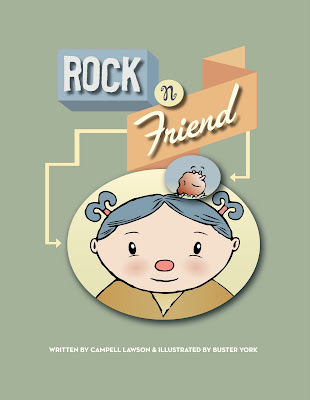 My favorite btw would be the rock n friend...if your kids love it I know mine would. We have the books, too, for our grandkids. Terra did a great job with them! Grounded from books? That would have done me in. Something to add to our library list! the smell of the pages of a book put me in euphoria. amazing. that is so awesome!! !